The day before Thanksgiving my 94 year old grandmother had cancer surgery. With my smart phone I took pictures of her face immediately following the surgery and texted them to my physician siblings, typing, “See what they did to G-ma.” The surgery was proclaimed successful by the surgeon, despite the fact they had accidentally switched patient files during pre-op. We brought G-ma home within two hours of the operation. We delayed the Thanksgiving feast one day to allow G-ma a quiet day in-between to rest and recover. I’ll never forget standing next to her on Thanksgiving day in the bathroom as she looked into the mirror for the first time. Her light blue eyes watered. Her lips tightened. Her eyebrows lifted. And she let out a little, “humph.” The scar ran from her lower ear lobe all the way across her cheek up to underneath her eye. The zig zagging pattern was like the tributaries of the mighty Mississippi. Sitting in her rocking chair, we laid a warm blanket over her lap and another softer blanket on the floor near her feet. That second blanket was for the baby. My brother Stuart’s baby girl was just five months old and she loved laying on the floor of G-ma’s family room and staring up at the ceiling fan. G-ma loved it, too. There was something healing about the baby and she was the most beautiful distraction to the cancer. Our father couldn’t enjoy his youngest son’s baby like we could. He was dead; been dead for years. He never knew my baby either. Unlike G-ma, quietly rocking her chair by the baby, when our father visited my brother Steve’s new baby, Dad was super manic. He excitedly and rapidly went on and on about something critically important to him while sitting at the dining room table. The baby was cradled safely in my brother Steve’s arms. The combination of Dad’s weight and his energetic storytelling combined to cause the wooden dining room chair to crumple beneath him. Not to let anything interfere with the truth he so desperately desired to impart, truth he sincerely believed could save the world, he continued blabbering on from his seat on the floor, legs of the chair sharply broken. The now crying baby was quickly tucked away into the nursery. Unlike the cancer on my Grandmother’s face, the mental illness in my father’s brain wasn’t treated. Dad remained stubbornly and fiercely resistant to treatment for his chronic and severe mental illnesses his entire adult life, despite our years of pleading. We all suffered for it, like victims of a devastating natural disaster. I never could accept his untreated mental illness. I came to accept him, but not his choice to allow the disease to take over his life. I will never know if it was actually the disease itself that made him incapable of consenting to treatment. The severe and chronic mental illness always seemed like a cancer, a cruel disease needing to be treated and cut out from our family. In the glow of the twinkling Christmas tree lights, I think of Thanksgiving and G-ma’s rocking chair. I am grateful for the addition of this memory to accompany the image of my Dad’s broken dining room chair. The image of my father pressing his weight onto a broken chair while in a manic episode haunts me, while the image of my grandmother’s quiet and courageous recovery soothes me. And I wonder what it means to have both in the same family: wisdom that waits a day after surgery to look into a mirror (and even then only once) and a broken mind that seems to peer down a narrow and endless hallway of broken mirrors. For the grandchildren born after my Dad’s death, there will only be the gentle and steady rhythm of the rocking chair. Yet the broken chair, a symbol of a brilliant mind broken by a severe and untreated mental illness, remains a shadow of possibility for all of us as a hereditary disease. As my G-ma’s Thanksgiving together taught us, treatment threatens to leave a temporary scar and recovery can look unsightly. Yet, the slow healing that comes from fighting disease, rather than letting it consume you, makes a secure place for babies to lay, studying at the feet of enduring love. Dedicated to the deep beauty of my maternal grandmother and how her long life teaches us how to live ours better. We are doing something new for our family this year. Thanks to a gift from my son’s Godmother, for each day of Advent, my six year old is hearing parts of the Christian story. Recently, the tiny ornament sized book titled “The Manger” told about the time long ago when a kind innkeeper led a desperate and anxious young couple to a manger in Bethlemhem. I appreciated the storyteller’s interpretation and description of the innkeeper as “kind” because I had grown accustomed to imagining a rude and uncaring innkeeper pointing a crooked finger outside toward an inhospitable barn. It was kindness that made the now classic nativity manger scene possible, not ugliness. What does it mean that God’s son was born in a manger? For me, it means that God’s greatest gift comes to us because of kindness and hospitality. Mary gives birth not in a dusty ditch or in a busy market, but within the shelter of a stranger’s kindness. Living with a mental illness is kind of like being born in a manger. It doesn’t make you less of a child of God. Whether you have a mental illness now or will have one later (50% of all people will have a mental illness in our lifetime), whether you were born in a bed or in a manger, nothing about your life can change the fact that you are the most incredible you that ever existed or ever will. Jesus was born in a manger and he was the son of God. People with disabilities are often told that there is no room at the inn. My brother, who is on disability caused by his severe bipolar disorder, had to wait for weeks for a room at the psychiatric care facility. He’s also had to wait for days in the emergency room waiting for a bed on the psychiatric floor of a hospital. Too many times people experiencing a mental health crisis are told there is no room at the inn and there’s no manger in sight. In the best scenarios, when there is no room at the inn, churches become the manger scene, the place birthed out of kindness and hospitality where people along the spectrum of health and ability can come. In the manger there is room for disabilities and severe mental illness. There is space for all God’s creatures to gather around together to hear the first cry of God. And with that cry there is also Joseph’s laughter and Mary’s joy. The full range of human emotions explodes at the time of birth. Christmas invites us to bring our whole selves to the manger: mental illness and all. In the wildness of that space, God shows up in human form. As we celebrate the birth of Jesus, we can’t help but notice how we are caring for those born into the world. Where will God be welcomed? Where will healing be found? The predominate culture in Christian communities of shame and silence about mental illness leads to unnecessary suffering. Today I’m particularly mindful of the stresses on pastors and their families. Christmas and the weeks leading up to it are (apart from Holy Week and Easter) the most stressful times for pastors and their families. Speaking from my own experiences serving congregations for a decade…it is rough. Rewarding, yes! But also uniquely challenging. So added to the common stresses of planning and preparing worship for the season of Christmas, pastoral care obligations (which tend to be unpredictable), and leading council and committee meetings and stewardship campaigns. Added to this are the additional dynamics of the pastor’s own family. I’m referring to pastors who are not single, but in a committed relationship such as marriage. When a pastor’s significant other lives with a mental health challenge, this creates an additional layer of stressors on the pastor. Yet, often congregations are not informed about this significant issue because the pastor does not disclose this information. The pastor may not think the church needs to know. The pastor may be protecting themselves and their partner from judgement, questions and stigma. The pastor may see no reason for the church to know these personal details. I wonder, though. I wonder about a Christian culture that allows for such significant dynamics to fly under the radar. I wonder about a church that doesn’t know the whole story. I wonder about a pastor and their partner who are not fully known and accepted by the church. Is this okay? Is this how we want things to be? I wonder. What would it look like if churches knew that their beloved pastor had a generalized anxiety disorder and was on medication? What would it look like for a church to know that the pastor’s wife was hospitalized for a psychotic episode once? What would it look like for the pastor and the spouse to get support from the congregation and the wider church? I can tell you more about what it looks like for all this to be silenced, secret and hidden in the shadows of shame and stigma. It looks like burnout for pastors. It looks like overtired and weary pastors. It looks like isolated and depressed pastors. It looks like pastors who wonder if they’ve made the right choices. It looks like me, who didn’t feel safe revealing my spouse’s mental health challenge with depression and anxiety to my congregation. I thought doing so would make me look weak, like I was a bad wife. I feared that, for some reason, it was all my fault. I thought we would be judged and ultimately rejected. Sadly, these fears prevented me from living authenticly. Looking back, I realize now that my church would have been understanding and compassionate. But living with uncertainty and fear is not healthy for pastors or for their families. We can do better. When pastors and their loved ones flourish, then congregations flourish. Jesus’ wish for the church is that we may all enjoy abundant life. This is possible for pastors who are supporting a loved one with a mental illness. But pastors cannot enjoy abundant life in ministry alone and apart from authentic relationships. 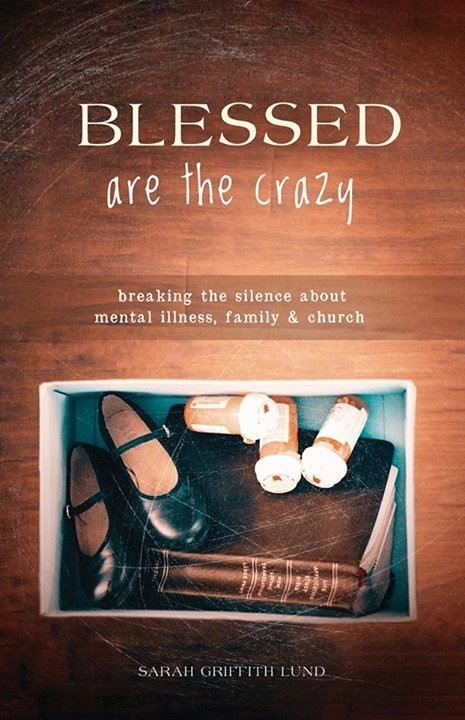 How can congregations show support to pastors whose spouse has a mental illness? As with other diseases, it requires special consideration and care. Open and honest conversations in the beginning between pastors and church leaders can lead to a partnership where issues can be shared without fear. Given that mental illness is so common (one in five persons will experience mental illness in a given year), it can be safely assumed that either the pastor or the spouse (or family member, such as a child) might live with a mental illness. What is your church prepared to do to support them? Does the church offer them personal or family mental health days as part of their benefits? In these extra busy and stressful holy seasons, is your church making sure that your pastor and their families are well cared for by their flock? This Christmas season, reach out to your pastor and their family with a symbol of Christian love. A handwritten note of appreciation, a hot meal, or an extra measure of grace when things seem not up to par. Encourage your pastors to take time away from church to renew their spirits. Mental health is so closely tied to our spiritual health. Giving your pastor extra time off after Christmas might just be the best Christmas gift of the year. Order *Blessed are the Crazy* now!